Chapter 2 :: Ahoy Landlubbers! Chapter 6 :: Warriors in the Sky! 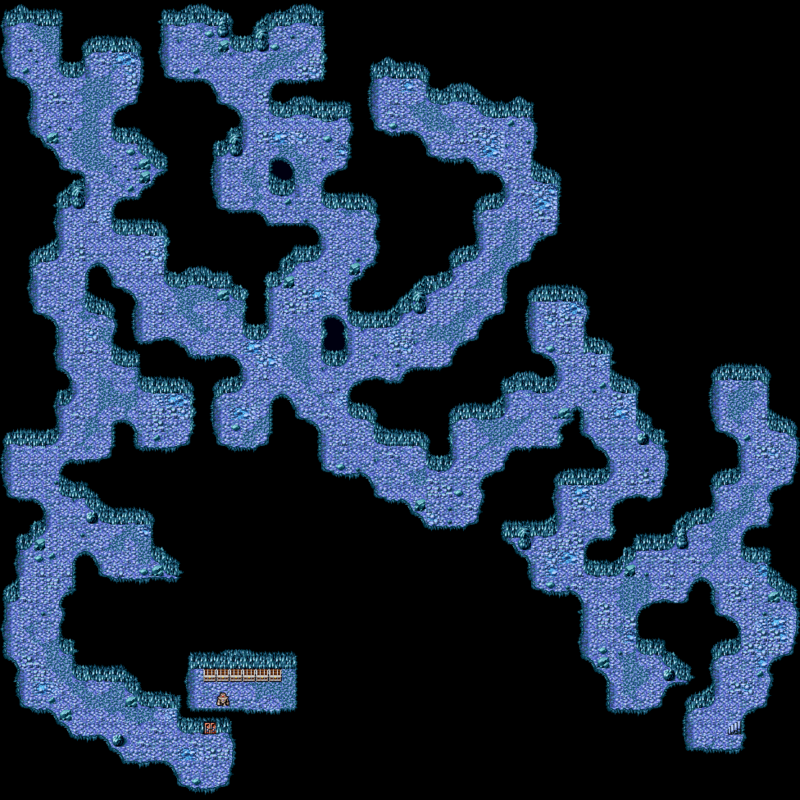 Hidden behind a Waterfall west of Onrac, the Waterfall Cavern contains the Warp Cube, a key item that grants access to the Flying Fortress. 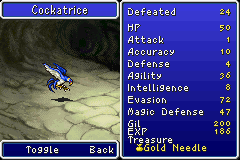 Also found within the Waterfall Cavern is one of Final Fantasy I’s most coveted items: The Ribbon, which grants immunity to all status effects. The Wizard’s Staff, which casts Confuse when used as an item in battle, and the Defender, a powerful sword, are also found here. A staff that casts Confuse when used. Ribbon that wards off special attacks. A sword that casts Blink when used. Tap or hover over item numbers to see the contents of treasure chests. © Copyright 2007-2019 Retro Walkthroughs. All trademarks and trade names are the properties or their respective owners. Site by Bullfrog Labs, Inc.